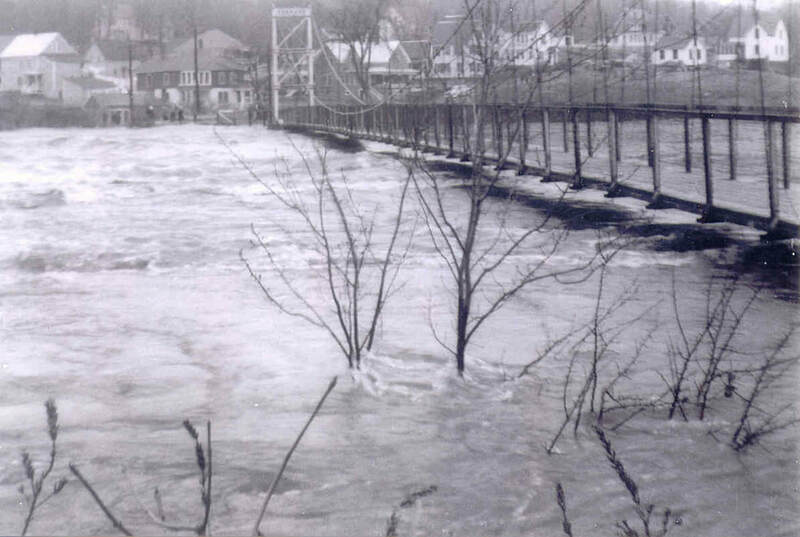 A flood destroyed the superstructure of the bridge in 1936 and was rebuilt in 1938 by WPA. The present steel railing and fencing replaced the timber railing. 1950s many suspender rods (some suspect all) and the timber deck were replaced. 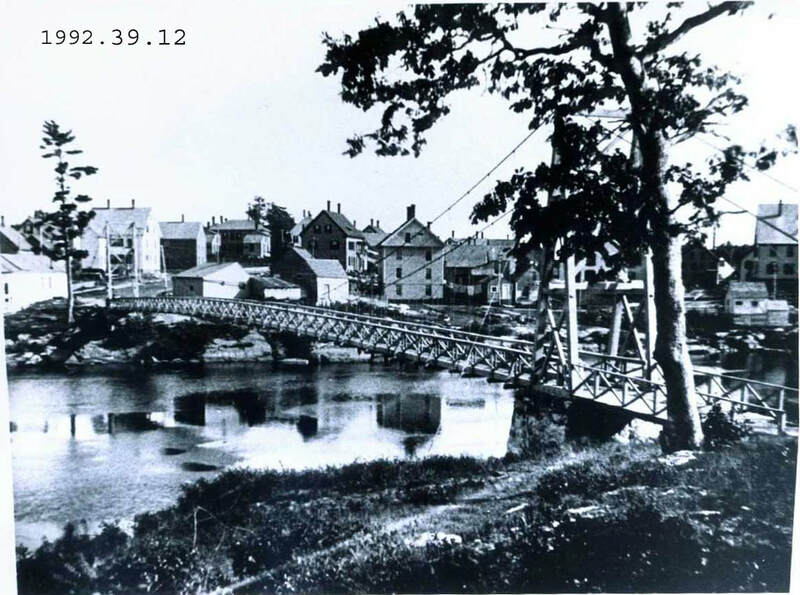 In 1999 the towns of Brunswick and Topsham commissioned a study, that reported the remaining life span of the bridge was 5-10 years. Recommended rehabilitation repairs would extend life of the bridge by approximately 50 years. The total cost of the repairs estimated in 2000 would be $360,000. The Towns of Brunswick and Topsham, created a joint committee to work with the Midcoast Council for Business Development &Planning in early 2000. The Brunswick Rotary voted to designate the Swinging Bridge Fund as its 2004 Rotary Centennial Community Project. 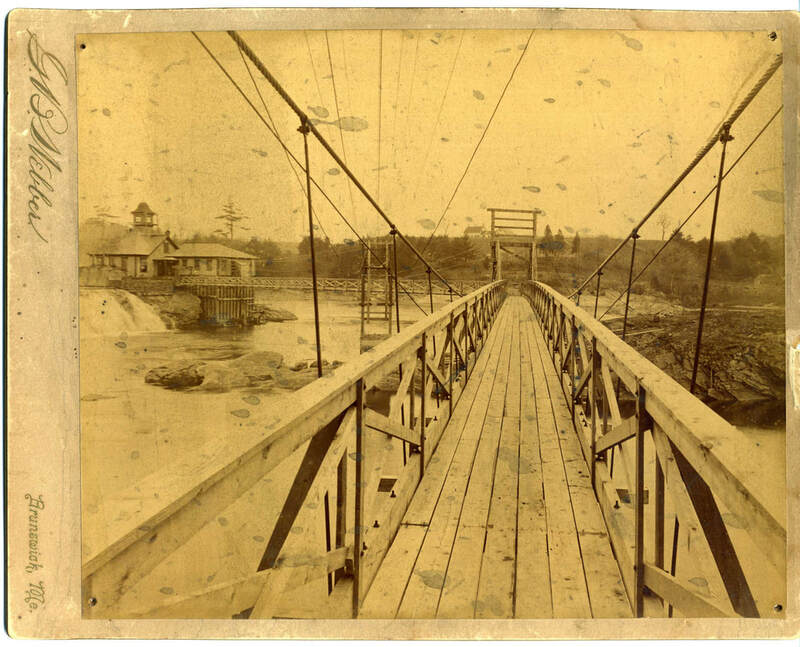 The Swinging Bridge was officially included in the Maine Historic Resources Inventory list in January 2003. Maine Department of Transportation awarded the project $304,000 from Federal Enhancement Grant Funds Fall 2003. The Swinging Bridge was officially added to the National Register of Historic Places January 2004. In September 2004 the estimate delivered for the bridge repairs was higher owing to a combination of increased costs of materials, especially steel, and as a result of the more detailed engineering work of HNTB. The towns of Brunswick and Topsham and MDOT approved funding the project to include the additional cost. January 2006 bid for project without painting was awarded to Atlantic Mechanical, Woolwich, ME. December 16, 2006 bridge reopened to the public. Summer 2007 park-like entrances were created at each end of the bridge. 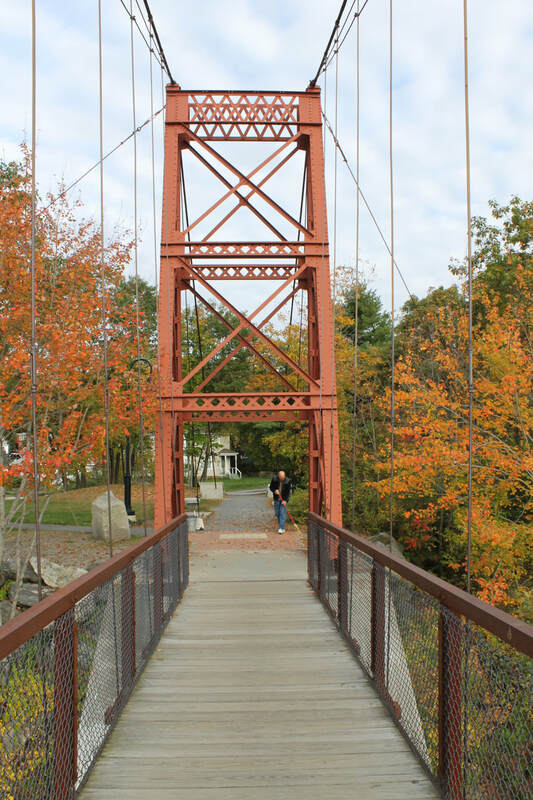 May 19, 2011 Maine ASCE designated the Swinging Bridge as a Maine historical civil engineering landmark.